Creating the right font combination is a matter of skills, eye for detail and understanding of the different font types. 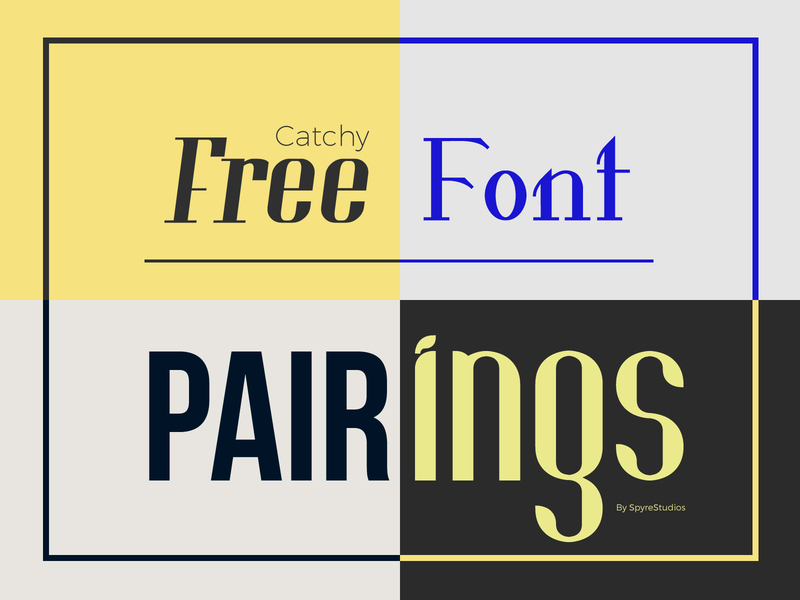 There are a few font pairing tools which let you fall in love with a font pair without having to search through font providers and free typeface websites. And even though the internet already offers a nifty amount of font combinations to amuse and inspire both designers and graphic amateurs, our team tought it would be great to share another round of font combinations, diligently organised into five main sections. Accompanied by a couple of beautiful, handcrafted graphics, which feature our top-listed font combinations, this list will be your guide to the most unique font pairings with free for commercial use fonts, you can find over the web. Talking about striking headlines, these few font combinatios are just a tiny sip of what the design world offers online. Creating a flashy title is not just about choosing the right words. Where language is scarce, design can be the outset of the creation of a bold statement. Be it a strong call-to-action or a catchy title, these font pairings will make your headline pop like nothing else. Choose amongs some of the most appealing font pairings in the free for commercial use fonts sector and impress your client with a beautiful composition of bold typography and eloquent design. Hit the jackpot in fashion graphic design with these elegant fonts. Coco, Gamor and Valkyrie present masterpiece typography created by Hendrick Rolandez, who seems to know just the right balance between eccentrism and elegance. These serif fonts create a beautiful layout for all types of print and web design. If you aim at chic appearance and striking individuality, this typeface collection will be your best friend in the creation of packages, banners and what not for the cosmetic and fashion industry. Designing for the corporate world requires more than just a bold headline. Business designs are a complex combination of style, meaning and appearance which reflects the companies’ goals and phylosophy. Business fonts are used in brand identity designs, logos, presentations and a large part of the enterprise world. Their main purpose is to communicate with the target audience of the company by presenting a trustworthy option for service and product purchases. The corporate design and font matching aims at shifting the boring business sector into an appealing and engaging niche which speaks to a greater audience. Used in the artisan business sphere, the hipster fonts create a stream of timelessnes, individuality and boldness. This font style is a combination of handwriting, white space and geometry. Combined with various minimalist elements and eartsy color palettes, the hipster look can make any logo look like coming straight from the 50’s. This font type reflects the uniqueness of craftsmanship and the credibleness of a business with half-a-century experience on the market. If you want to have a bold heading with stylish appearance with a distinctive character and appealing look, you definitely need to try out some of these hipster font pairings.